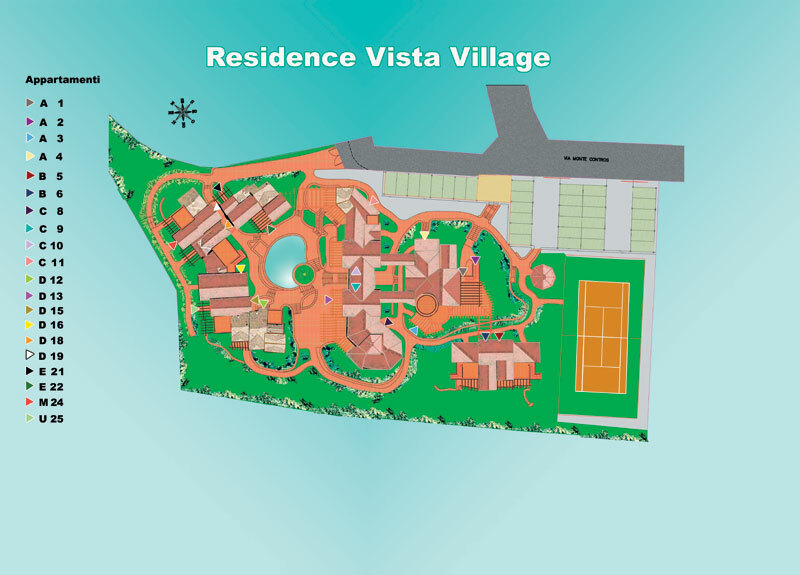 The Vista Village Resort is located in the tourist town of Porto San Paolo, overlooking one of the most picturesque seashores in the world. Its architectural features resemble those of an ancient village, with its staggered roofs interspersed with towers and terraces, not to mention its porticoes and patios that extend towards the Bay of Tavolara. The apartments at Vista Village have been furnished in a Mediterranean style using materials and fabrics that have been sourced from the local area. The tiles in the bathrooms and kitchens have been made by hand from fine materials. The stunning view over Tavolara Island that this stretch of coastline blesses us with can be appreciated right from our terraces. Architecturally, the resort possesses the traditional Gallura vernacular architecture that has left its indelible mark on tourist and residential buildings along the Costa Smeralda masonry buildings with one or two floors at max, structured in various ways and complete with porticoes and pergola-topped terraces, creating a play on volumes and chiaroscuro elements that are exceptionally distinctive and striking. 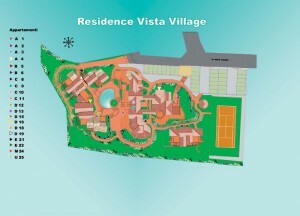 In the highest and flattest area within the resort you will find a full-sized tennis court. In the lowest area, nestled between the buildings, you’ll find our swimming pool. The entire complex is found within a well tended garden that is lush with typical Gallura vegetation and herbaceous plants.